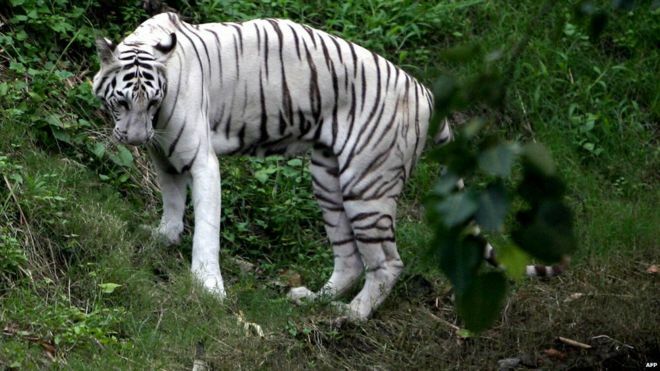 An animal keeper at a national park in southern India has been attacked and killed by two rare young white tigers, officials say. 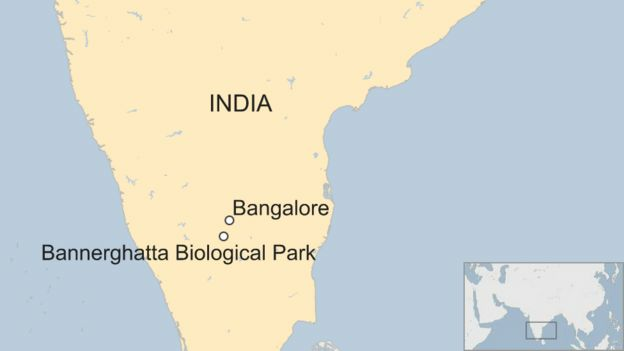 The keeper, 40, was mauled to death as he attempted to direct the tigers into their enclosure on Saturday night at the Bannerghatta Biological Park. An official said the tigers pounced on him because one of the four enclosure gates was not properly latched. White tigers derive their colour from a recessive gene. The keeper had only been employed by the national park for a little over a week. His angry relatives protested outside the park on Sunday - they want financial compensation from park management, accusing them of negligence. A keeper at the park near Bangalore was reported to have been injured two years ago by lions.